When will be The Comedy Jam next episode air date? Is The Comedy Jam renewed or cancelled? Where to countdown The Comedy Jam air dates? 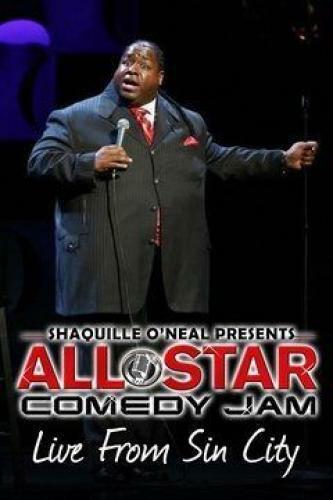 Is The Comedy Jam worth watching? Bert Kreischer performs Creed's "Higher", Taryn Manning rocks out to Def Leppard's "Pour Some Sugar on Me", and Hal Sparks sings AC/DC's "You Shook Me All Night Long". Malin Akerman gets heavy with a Metallica hit, Matteo Lane pays tribute to the divas of the world, and Jay Pharoah teams up with DMX for "Party Up (Up in Here)". Hasan Minhaj spits some Snoop Dogg, Mary Lynn Rajskub gets moody with Radiohead's "Creep", and Roy Wood Jr. is takin' care of business with Bachman-Turner Overdrive. James Davis and Montell Jordan heat things up with "This Is How We Do It", Busy Philipps sings Hole's "Violet", and Kenny Loggins joins Jon Rudnitsky for "Footloose". The Comedy Jam next episode air date provides TVMaze for you. EpisoDate.com is your TV show guide to Countdown The Comedy Jam Episode Air Dates and to stay in touch with The Comedy Jam next episode Air Date and your others favorite TV Shows. Add the shows you like to a "Watchlist" and let the site take it from there.